You’ve captured that perfect sunset – or your kids have all sat together for once – and you want to blow it up and make it a feature in your home. Do you go for a framed or canvas print for your masterpiece? Not so long ago, if you found the perfect photo of your holiday, celebration or magical everyday moment, it either went in an album or it was reproduced on glossy paper and then framed behind glass. Digital photo frames became vogue for a while. And of course, you can get your computer screens looping your full collection in downtime. All great, but not the same as having your favourite photography as a wall decoration or lovely memory to share. And the trouble with digital photography is that we were all guilty of forgetting to print the best ones off to share with family and friends. Or to admire and enjoy ourselves beyond the screen. Thankfully, modern printing methods have made it easier and more affordable to reproduce our favourite shots big and bold on canvas. 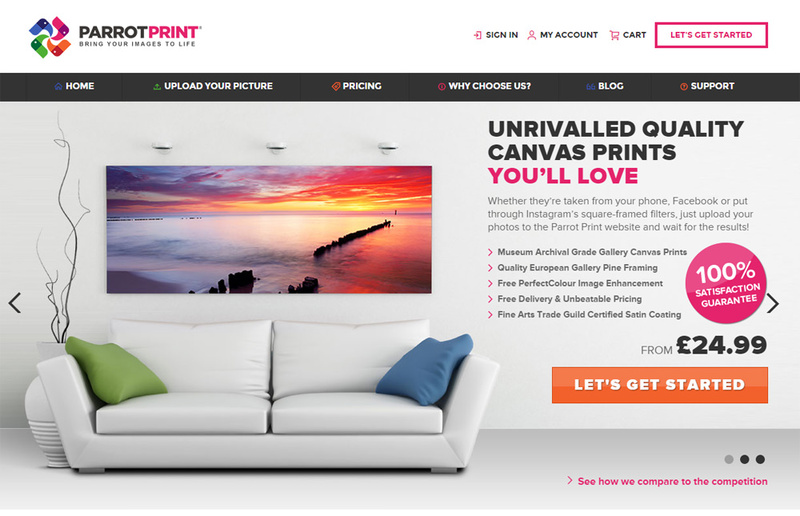 It follows the UK trend to add a personal touch to homes, using canvas art in creative and eye-catching ways – such as varying heights and sizes for three sections of the same image. Or why not create a mood wall or a collage of images in similar colours that sum up your life? There is something really special about having that memory or evocative shot immortalised on canvas. After all, the art world has been using canvas for hundreds of years – and not just because it soaks up paint well! 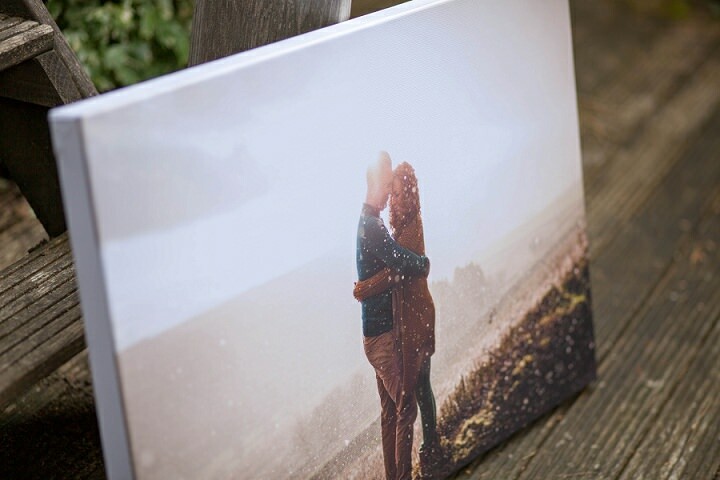 Canvas can give an almost tactile element to your fabulous photo. It’s the medium best designed to show off all the features of and intricacies of brush strokes – or these days, digital pixels. Take a look in any art gallery in the world and you will find pieces that are centuries old. Temperature and light control systems are used to preserve the paint, but the canvas is still holding fast. In case it’s not clear (the point, not the painting), canvas prints offer you incredible durability. If you want that magical moment to stand the test of time, canvas is ideal. Photos printed on canvas don’t have a reflective surface. Glass framed photographs can sometimes be difficult to fully appreciate, particularly in a room with a lot of natural light that bounces off them. Also, canvas prints for all their class and longevity are remarkably affordable. Nor do you have to spend ages deciding on what type or colour of frame to use. The photography can be displayed in all its splendour with no adornment necessary. You can even “bleed” the image all around the picture, making it look sassy or classy from any angle. However, if you do want to frame your canvas print to match it to you home décor, then that is an option too. The choice of frames for canvas prints is huge. It’s easy to create perfect canvas wall art because it is possible and straightforward to give your favourite photo a few tweaks. Modern editing and sizing software means you can get creative with prints on canvas without compromising the sharpness and general quality of your photograph. Just a quick note from home decorating pundits. These days, the emphasis is on keeping rooms easy on the eye and consistent, to make them relaxing and non-threatening. You may have noticed how simplistic and stripped back current interior design tends to be. One of the ways to reflect this in your wall art is to use the same laid back but striking style throughout. Which means sticking to canvas prints rather than mixing and matching frames and other types of art.